The IronHorse Lodge serves residents 55 years and older with household incomes at or below 60 percent of area median income. The complex ​offers one and two-bedroom units, common areas and raised bed gardens. 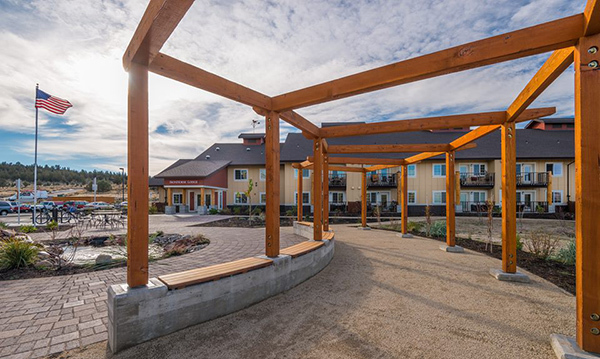 Developed by Pacific Crest Affordable Housing, IronHorse Lodge features green building standards which result in buildings that are highly efficient with low utility costs. The Lodge is modeled after the company’s award-winning Little Deschutes Lodge II in La Pine. For more information about leasing, please contact Viridian Management: (541) 426-3820.